Argillae is located near Orvieto, in Italy's Umbria region, landlocked and surrounded by other Italian regions in the heart of the country. Its borders have changed shape since the time of the Romans and the area has seen many wars and battles through the years, most recently in World War II. Argillae was founded by Cavaliere del Lavoro Giuseppe Bonollo in the hills north of the town and the 94-acre estate is still run by today's generation. Their U.S. importer says their winemaker is Lorenzo Landi. The grapes grow in clay, sand and limestone. Argillae, in fact, is the Italian word for clay. The clay soil stays cool and helps the grapes grow better through the hot Umbrian summer. Ancient fossils dot the landscape from two million years ago, adding their own special minerality to the fruit and the wines. The 2016 Argillae Orvieto is a blend of grapes: Grechetto, Procanico, Malvasia, Chardonnay and Sauvignon Blanc. Procanico is the local name for Trebbiano. The different grapes were vinified separately in stainless steel tanks, then blended together and aged a few months in those tanks. Alcohol is restrained, at 13% abv and I paid $11 by the glass at a Beverly Hills Italian restaurant. This dry white wine strikes a nice balance between its floral and mineral aspects. Served too cold, as white wine always seems to be in restaurants, it's hard to dig out any scent at all. Once it escapes the clutches of the refrigerator, the citrus and minerals work hard enough to rival the flowers. The palate is mineral-driven and fits perfectly with pasta and chicken in a light tomato sauce. 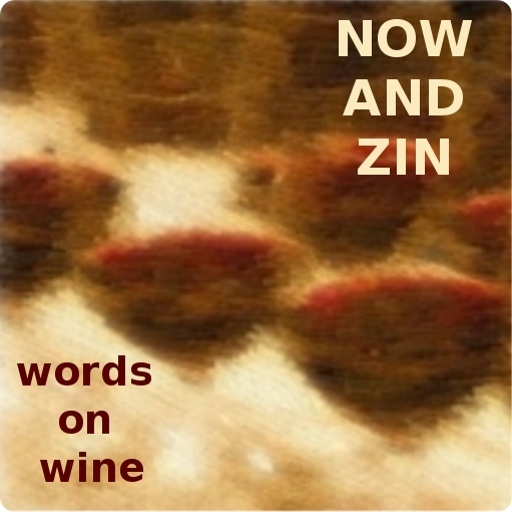 Merry Christmas From Now And Zin Wine!